Fresh strawberry puree swirled into a creamy buttermilk mixture. 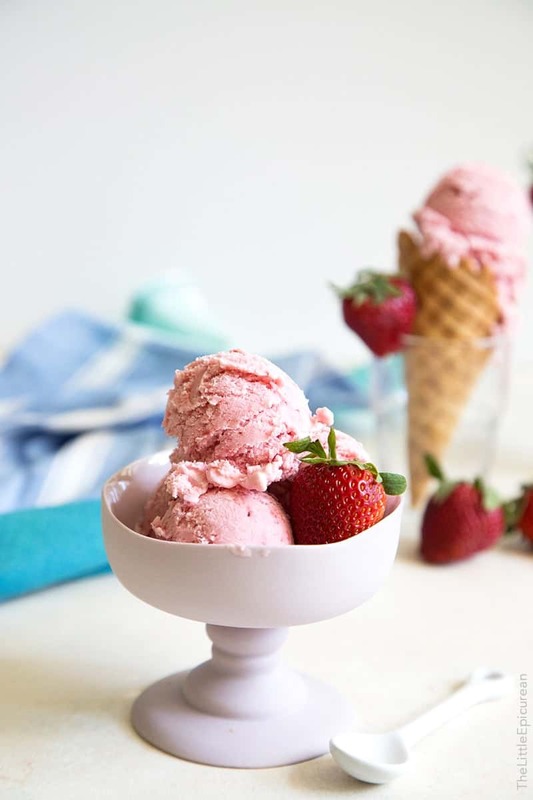 A scoop of this strawberry buttermilk ice cream is a tasty way to welcome spring! The jet lag has finally worn off. Growing up, I used to go to the Philippines once (sometimes twice) a year. Jet lag did not affect nor phase me then. I could fall asleep whenever, wherever. It’s been a few years since the last time I flew overseas and I was definitely not prepared for the sleepless nights that follow a trip to Asia. After that initial sleepless night (Saturday) followed by the day I slept through (Sunday), I thought it would take me weeks to get over the time change. Luckily, I learned to combat jet lag in three simple steps. When you’re feeling sleepy during the day, READ. I know reading puts a lot of people to sleep. Not me. It gets my mind racing especially when I’m reading a book I don’t want to put down. This week I read Me Before You by Jojo Moyes. Couldn’t put it down until I was a ball of tears at the last chapter. The one is the BEST one. After you’ve finished your work/obligations/chores/etc, plop down on the couch and watch House of Cards. Watch as many episodes as it takes to stay awake past 10pm so you can sleep through the night. Once you’ve completed those three steps and you’re back on “normal” time, reward yourself with plenty of strawberry buttermilk ice cream. I’m a big fan of using buttermilk in desserts. It adds a nice unexpected tang that I just can’t get enough of. I first experimented with this espresso buttermilk ice cream a couple years ago. 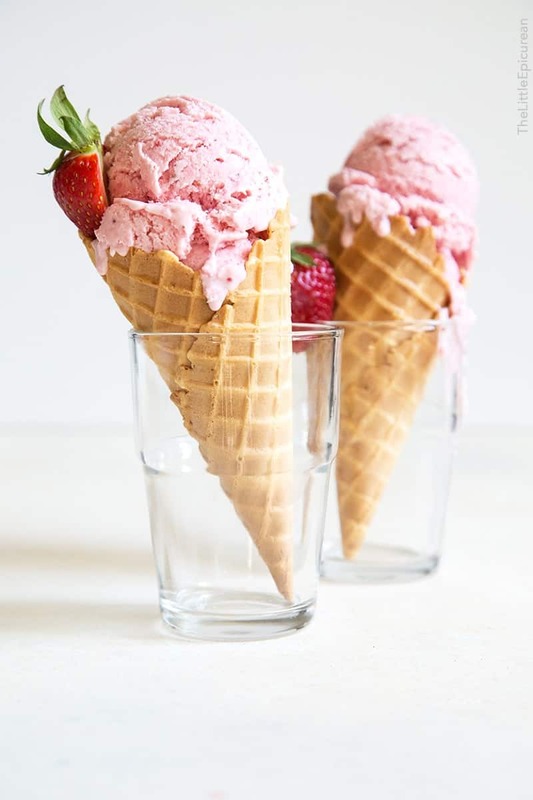 Now that strawberry season is upon us, I just HAD to try making this ice cream. Results were just what I expected. 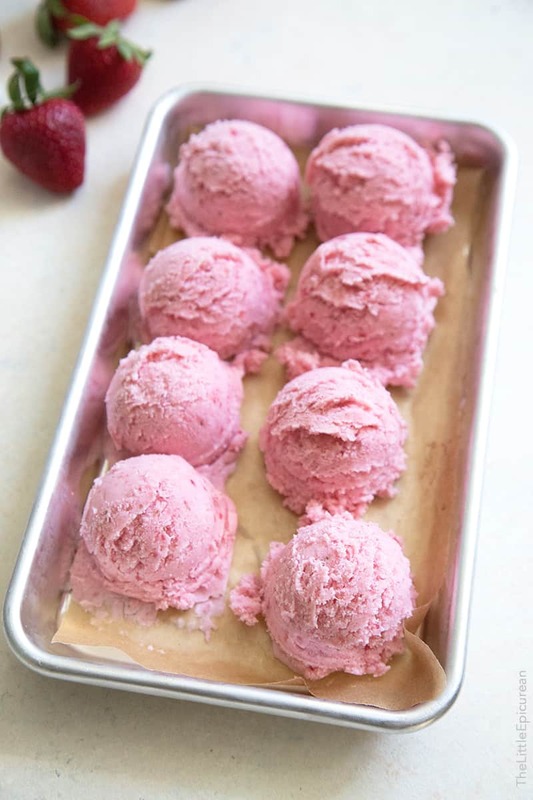 This strawberry buttermilk ice cream is a little tart, a little sweet, and very flavorful. It’s the perfect pick-me-up now that I’m a bit sad that I’ve finished season four of House of Cards. I’m counting down the days until season five! Puree strawberries. Pour into a large bowl and whisk in sugar. Add cream, buttermilk, and salt. Whisk until combined. Transfer to an airtight container and allow mixture to mature overnight in the fridge. Stir contents together. Freeze mixture in ice cream maker according to your unit's instructions. Process until the volume has increased by half and has reached a soft serve consistency. Transfer to an airtight, freezer-safe container and let rest in the freezer for at least 1 hour before serving. Allow to sit at room temperature for 5 minutes before scooping and serving. I use this compressor ice cream machine.